Reminder for all families to sign up for the Parish Photo Directory. 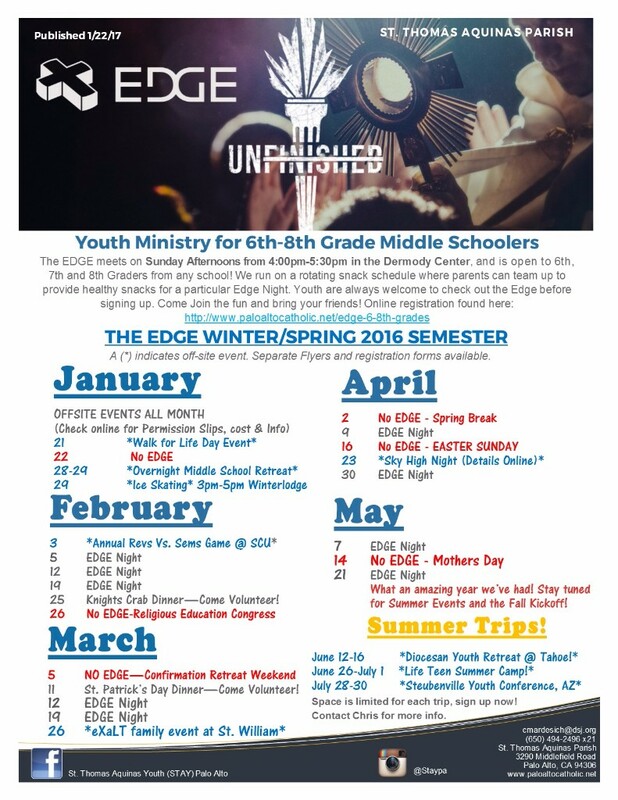 Google Doc Sign Up sheet for Snacks and Meals for Edge, Life Teen, and Confirmation Sessions - Sign up HERE! 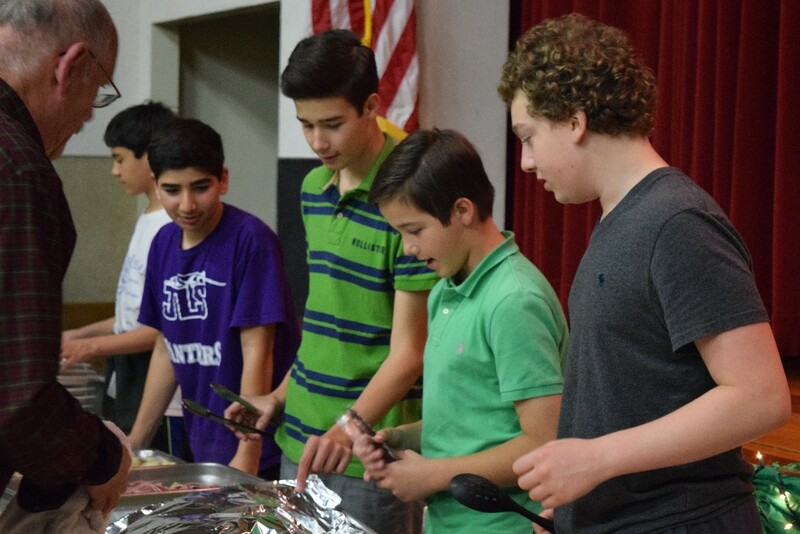 Upcoming Volunteer Opportunities for youth, including the Knights of Columbus Crab Dinner, St. Patricks Day Dinner and Seder Meal. 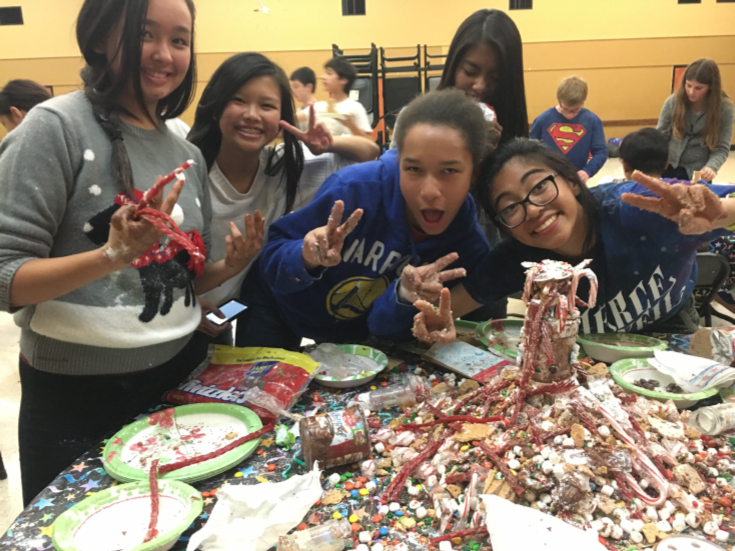 Registration Info for our Summer events: DYR (Registration is Live! 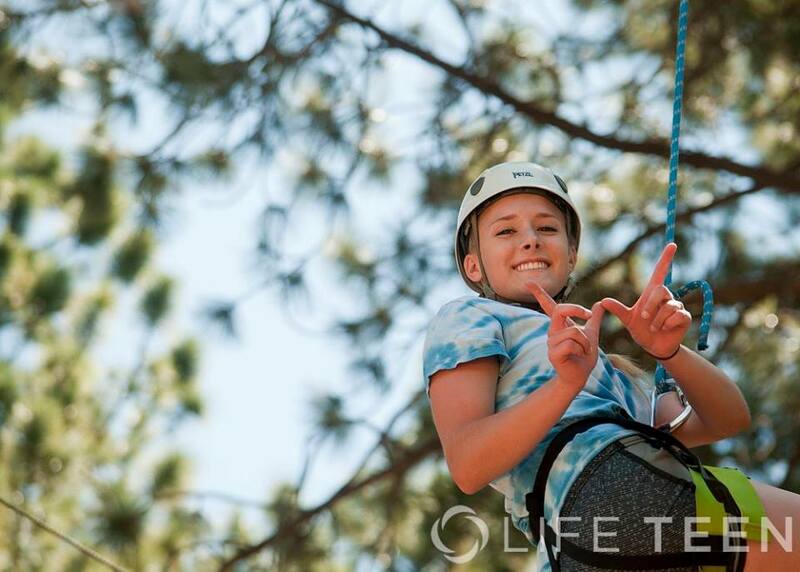 ), Life Teen Summer Camp (Space is limited), & More! 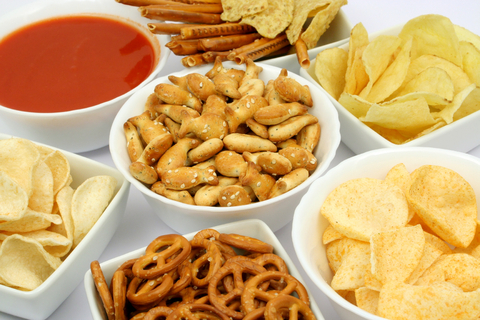 Get ready to work out your finger-scrolling muscles! Our next newsletter will include photos from our past few events, sessions, and Steubenville Conference details. 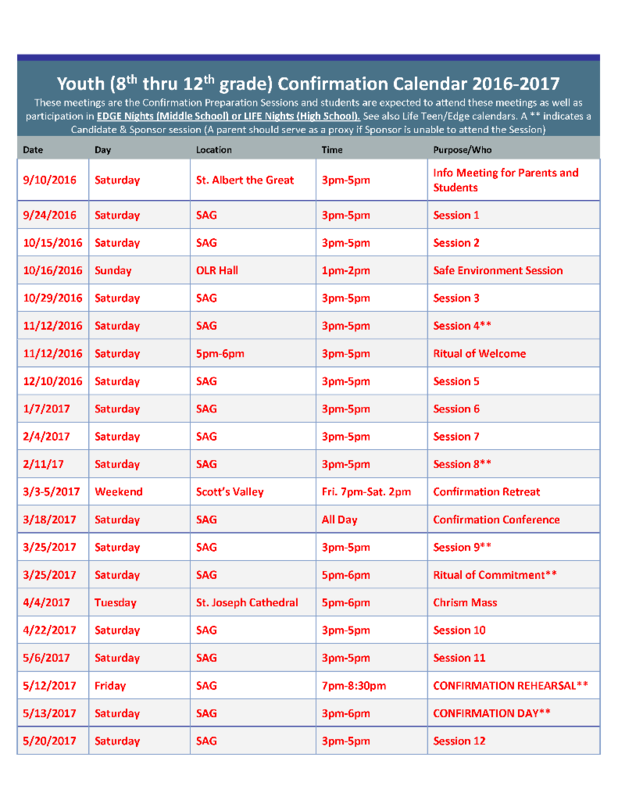 Make Your Parish Photo Session reservation today! Photos sessions begin again Tomorrow! We have many openings on our Monday and Tuesday sessions next week. If we don’t fill them all, we’ll work to do some consolidating. Do sign up! Or email me back and I’ll work to sign you up. The following times have been set aside for photography sessions for our upcoming parish Photo Album! Please identify a time that is convenient for you/your family and make an appointment. 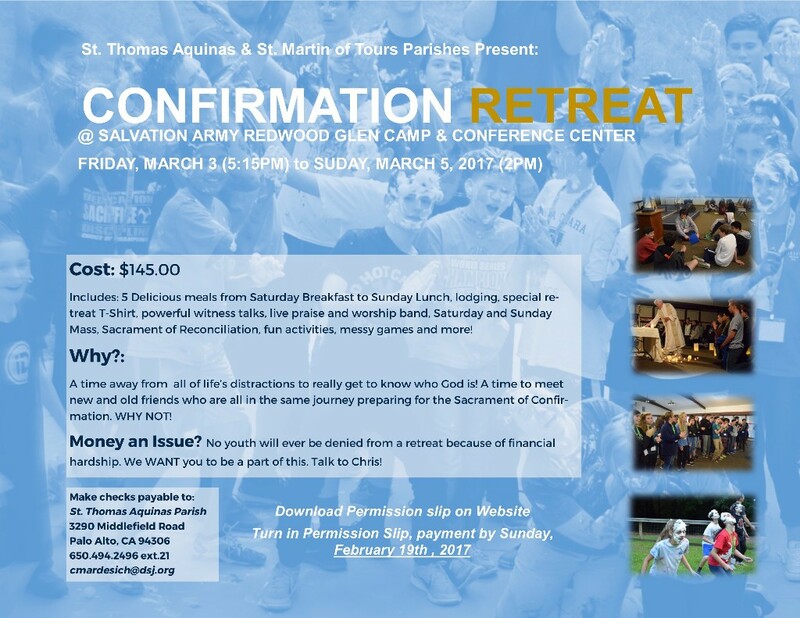 Parishioners attending St. Thomas Aquinas Church should make a reservation wherever it is convenient. No photos are being taken at St. Thomas Aquinas Church. Select the size of your group and then select a day and time. Available days and times are shown in white. b. 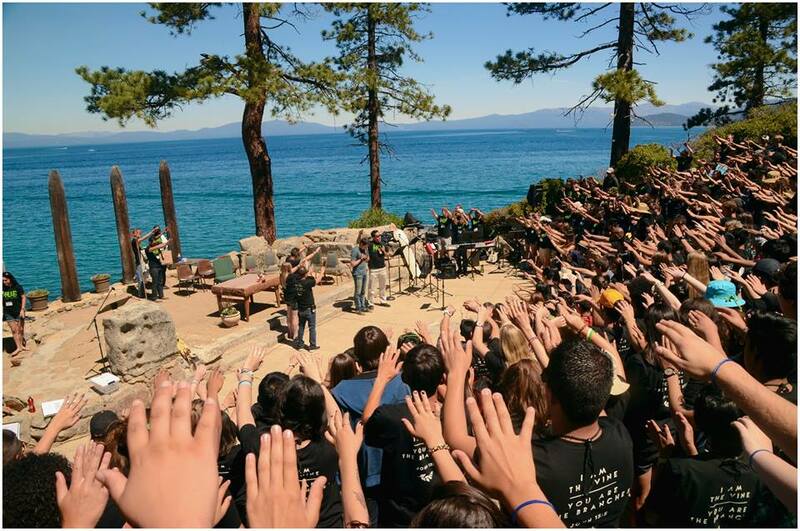 Contact The Pastoral Center Staff: At 650-494-2496 and they can do the registration for you. We are very much looking forward to producing this parish photo album for the 30th Anniversary of our parish. Please be a part of it! 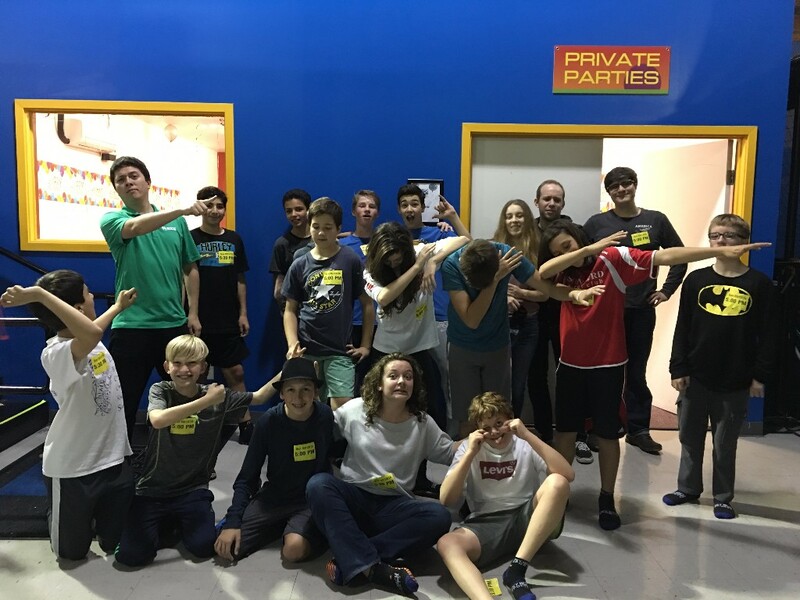 Hey Teens! We have 3 upcoming Service Opportunities within the parish, including the upcoming Crab Feed Dinner on February 25. The community needs your help! 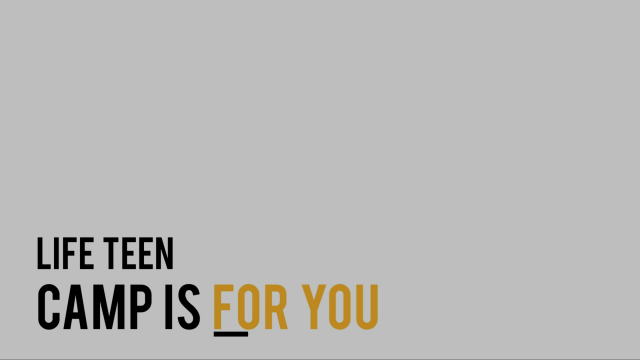 Sign up to serve and find out more by clicking on this link. 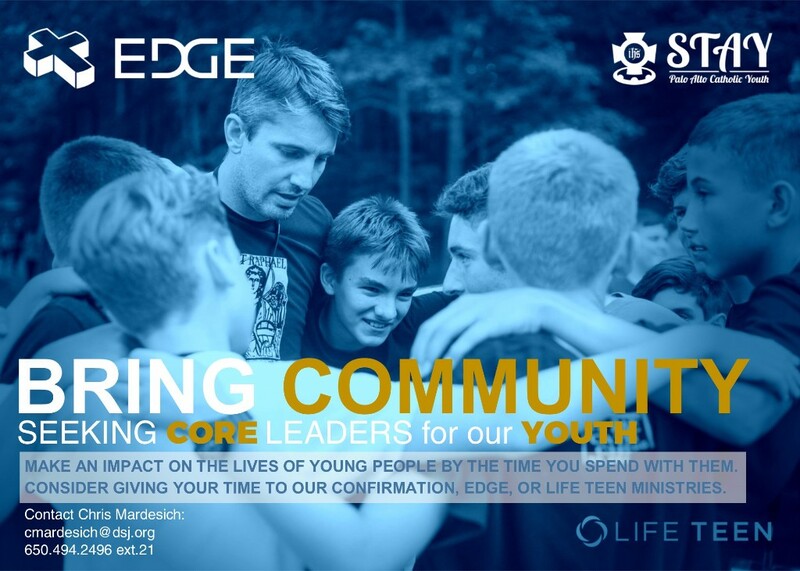 NEW EDGE, LIFE TEEN & CONFIRMATION SNACK SCHEDULE IS UP. 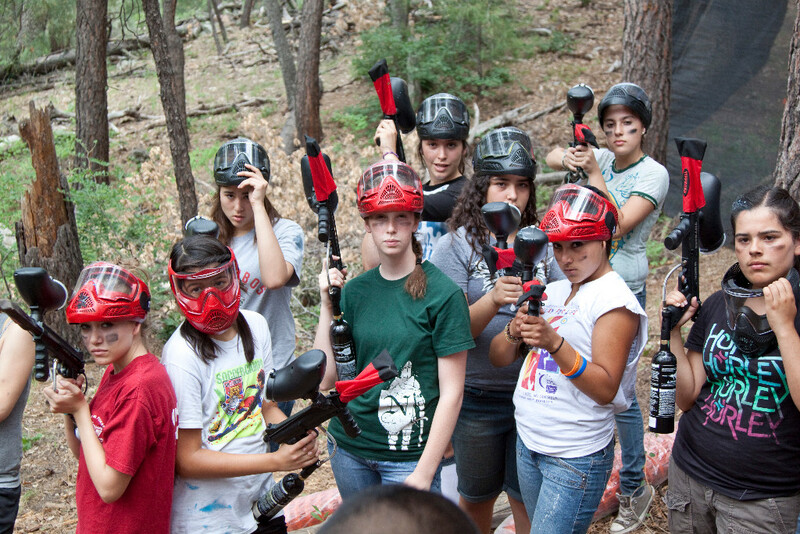 If your teen has a serious conflict for this weekend, speak with Chris to discuss alternative options or local retreats. Save the Date! 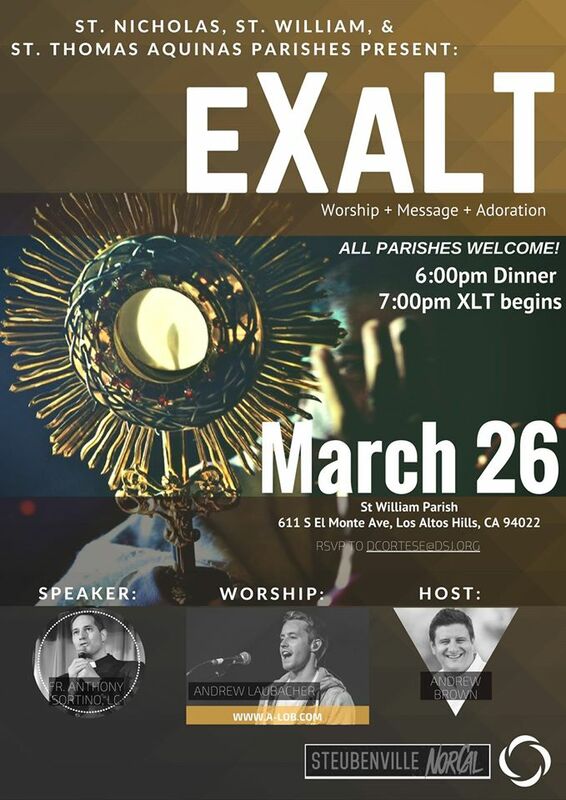 The Youth and Young Adult Ministries of St. Thomas Aquinas, St. Nicholas and St. William Parishes invite you to an evening of worship and inspiring message that will deepen your Lenten experience. People of all ages are welcome. 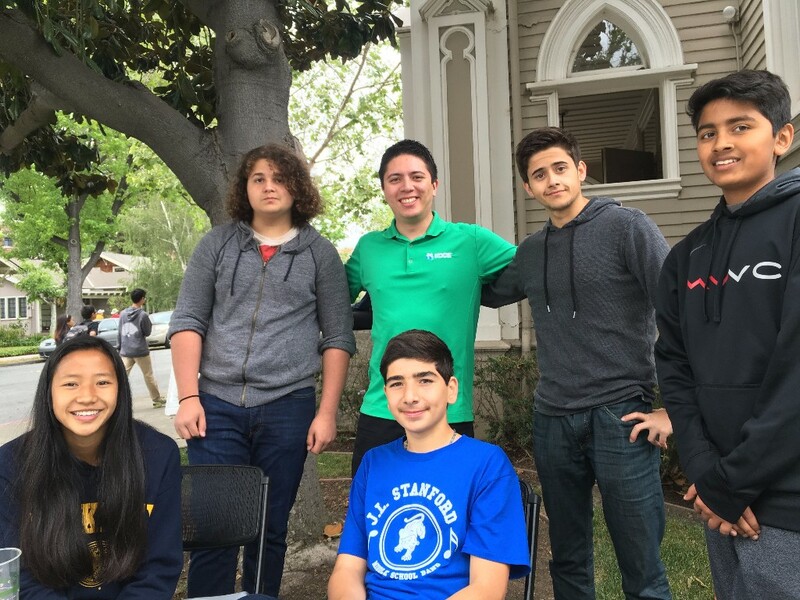 Event will be held at St. William Church in Los Altos. Hospitality begins at 6:00pm. Worship and talk begin at 7:00pm and concludes by 8:30pm. This night will bring together a talented worship leader, keynote message, and a time of Adoration of the Blessed Sacrament. Make space in your heart for Christ this Lent. If only your teens can make it, but would require a carpool, please let Chris know so that arrangements can be made. 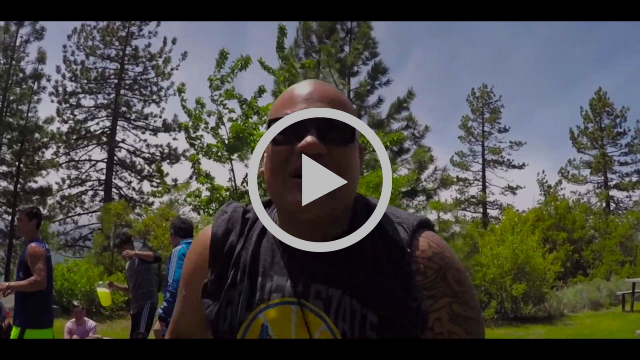 Click on the image above to watch the Life Teen Summer Camp Promo Video! 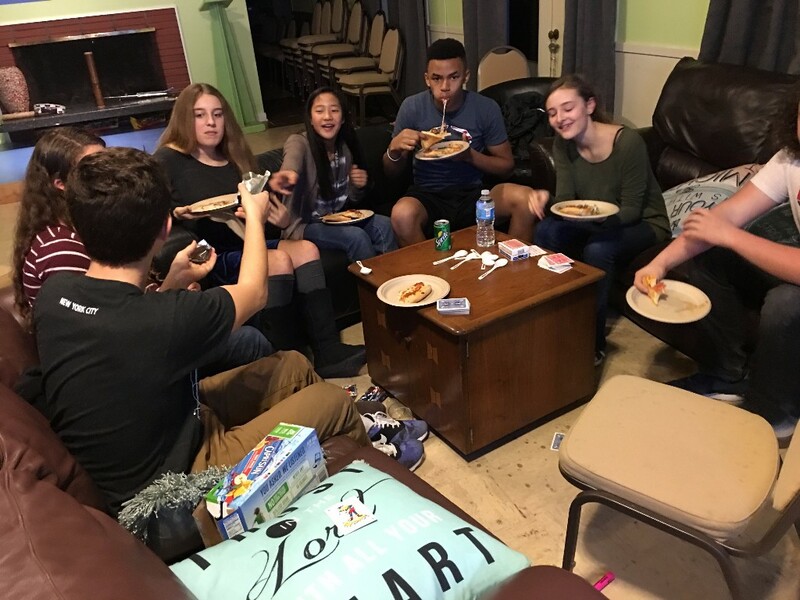 A weekend away in the mountains as our Confirmation Candidates of 2017 take time to bond together and explore a deeper relationship with Christ. 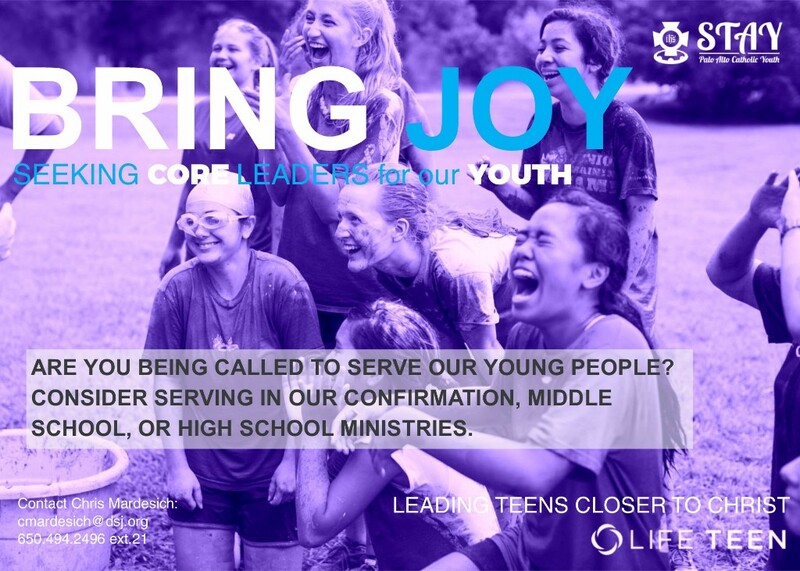 An exciting new tradition in our Diocese: The JOY Con is an all-day conference for nearly 1,000 youth preparing for Confirmation. 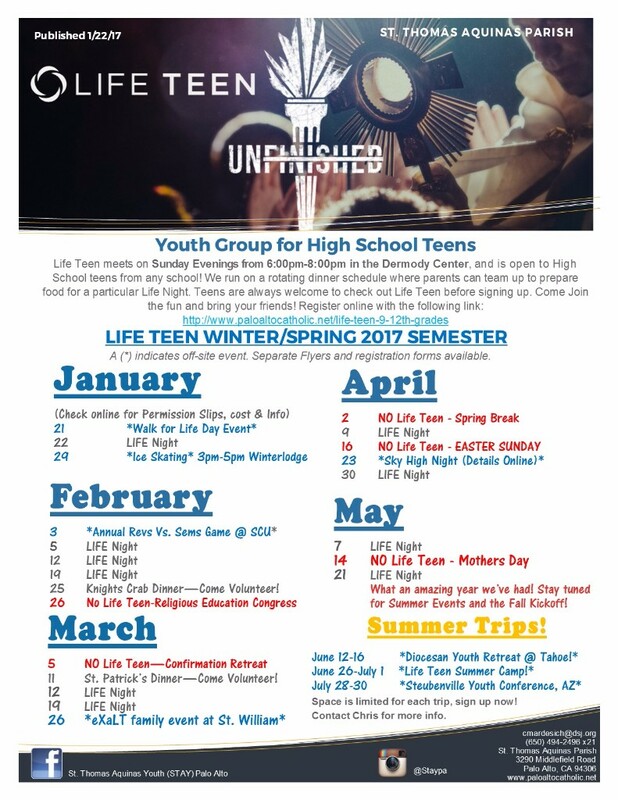 Includes an inspiring keynote, a worship band, and a variety of breakout sessions that will help youth learn more about their faith. 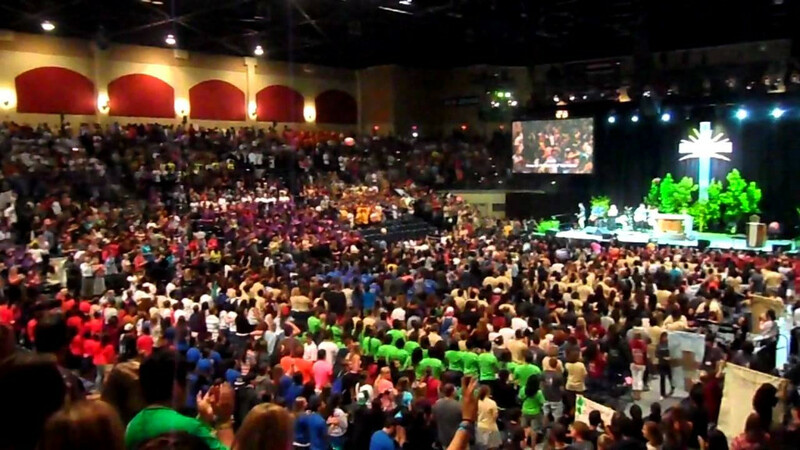 Have you ever felt the energy of thousands of teens in the same room, on fire for their faith? 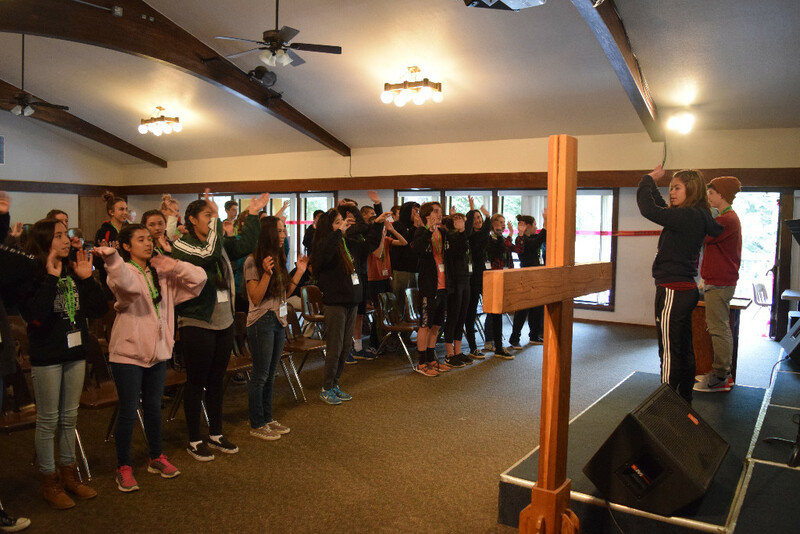 Just recently, it was announced that a Steubenville Conference would be hosted in our area! 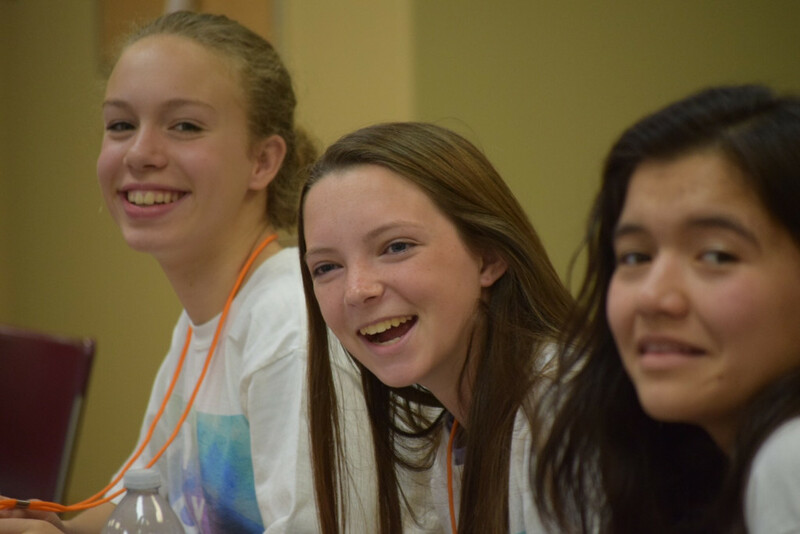 Join us for a weekend trip to Fremont, where you&apos;ll hear some amazing talks, celebrate Mass, play frisbee with nuns, and grow closer to your faith.